Your muscle building effort should not end with dinner, particularly for those who are struggling to pack on mass. Know about best foods to eat before bed and you will be inching closer to your muscle building goals. Refreshing your muscle building lesson, workouts injure your muscle tissues. 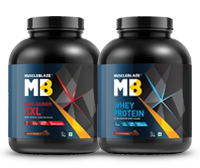 Whey protein, the perfect post workout snack rushes muscle building amino acids to the muscle tissues and triggers the process of building bigger and stronger muscles. So far so good, but by avoiding slow digesting protein rich bedtime snacks you are missing out on a crucial muscle building opportunity. High-protein foods are ideal foods before bedtime because they keep you full for a longer duration and increase the calorie spend, according to a study published in the December 2009 issue of "The Journal of Nutrition." If the fear of fat looms on your mind, you need to know that these foods are not dense meals, rather protein-rich snacks to ward off catabolism. You must have heard that maximum muscle gains happen not inside the gym but outside of it. Let's explain how. 1. 7 to 8 hours of quality sleep is essential to allow your body to recover from workout strains. Coincidentally, this is the time when the maximum surge of growth hormones take place. 2. Depriving your body of muscle building essential amino acids is a sure shot way to set your body on catabolism route, as your body will steal amino acids from your hard earned muscles, to convert to glucose to fuel your brain and gut. 3. Additionally, research studies have found that even after a single bout of resistance training in healthy males, muscle protein synthesis in biceps remained elevated for up to 24 hours post exercise. 4. Noshing on slow-digesting protein-rich snacks, like cottage cheese and a casein shake, right before bedtime along with healthy fats enables the muscles to tap into nutrients to get bigger and stronger. With the trickling of proteins in your muscle fibers throughout the night, your muscles will not get in a catabolic mode when you wake up. Ideally, your bedtime snack should consist of slow digesting proteins with a liberal helping of good fats to slow digestion of protein for longer nourishment of muscles. Eating protein-rich foods right before you go to sleep helps repair and build muscle tissues after exercise, according to a study published in August 2012 in Medicine and Science in Sports and Exercise. Cottage cheese is a high casein food, rich in slow-digesting proteins that spare breakdown of your muscle proteins during the night and boosts new muscle synthesis. A cup of cottage cheese will give you 11 to 12 g of protein to build more muscle mass. Add almonds to the cottage cheese to get important nutrients, like (proteins, monounsaturated fats and omega-3 fatty acids) but also provide satiety and slow the digestion of proteins, thereby, supplying proteins to your body over a longer period of time. 1 cup of low-fat cottage cheese with 1 ounce (28.3 g) of almonds provides 327 calories, 34 g of proteins, 11 g of carbohydrates and 16 g of fat. Derived from cow's milk just like whey, casein, the curdled residue of cheese making process forms 80 percent of the milk. Casein is a slow digesting protein. It creates a gel in the stomach that leads to a release of amino acids into the blood stream over up to 7 hours, just right to nourish your muscle fibers, when you sleep. The slow-digesting nature of casein doesn't make it a good choice in muscle protein synthesis, but it prevents muscle breakdown. To grow bigger and stronger, you need to prevent muscle breakdown and a casein shake prior to bed serves the purpose. 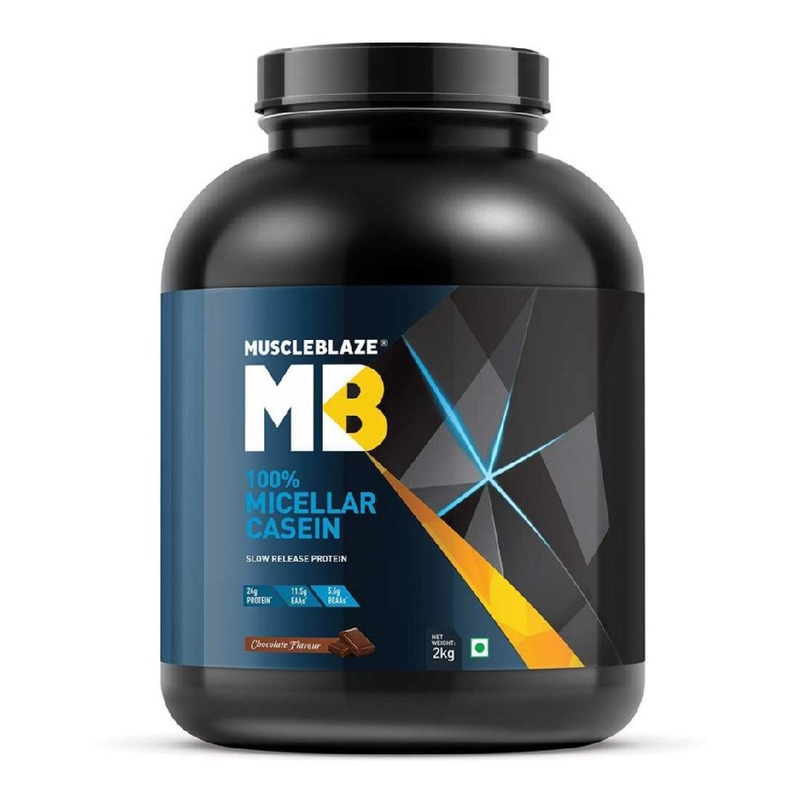 Get MuscleBlaze Micellar Casein Shake to preserve your hard-earned muscles. Homemade yoghurt is a probiotic, calcium and protein rich snack. The protein found in yogurt acts as the building block for building lean muscles. Consuming a cup of yogurt before bed offers 11g of protein for nighttime muscle preservation. Fish is a perfect pre-bed food source because it's high in protein content and contains healthy omega fats. Have it an hour before going to bed and your muscles will thank you. A tablespoon of peanut butter, with yoghurt and flaxseeds is just right to provide you continued nourishment during night time. When you team peanut butter with yoghurt, you get a generous dose of protein along with good quality fats. Flaxseeds on the side provide polyunsaturated fat. Now that you know what to eat before bedtime to build your muscles, you should quit your fears and choose the right bedtime foods. 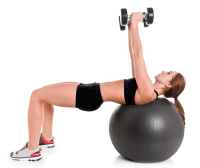 The result will show in bigger and stronger muscles.